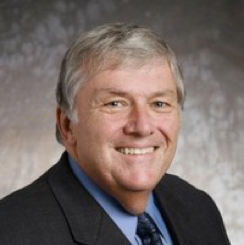 Mr. Kevin Scanlan is the former (retired) President of the Metropolitan Chicago Healthcare Council of 26 years where he represented over 150 healthcare organizations in 8 counties in the Chicago Metropolitan region. He is a healthcare leader with over 40 years of management experience. He is currently a Business Mentor at the Service Core of Retired Executives. He is also a Senior Healthcare Advisor, Subject Matter Expert, and Mentor at Patina Solutions. He was the Chairman of the Board at Land of Lincoln Health. Mr. Kevin Scanlan has his MS in Management from National-Louis University and he has a BS in Education from Chicago State University.